My journey to 26.2, and 39.3 miles! This race was the return to my first 1/2 marathon last year. The location was different from last year, which was a bummer because it would have been interesting to see how my time would have changed on that course after a year of running 5 more 1/2’s and 3 marathons. I will say that the course this year was much more scenic, and I definitely preferred it to the loop course from the year before. This recap will be short since I didn’t take pictures along the way like I typically do. All the pictures would have looked pretty similar, and there wasn’t anything that really screamed out at me to photograph. I had my camera, but left it in my race belt until after the race. 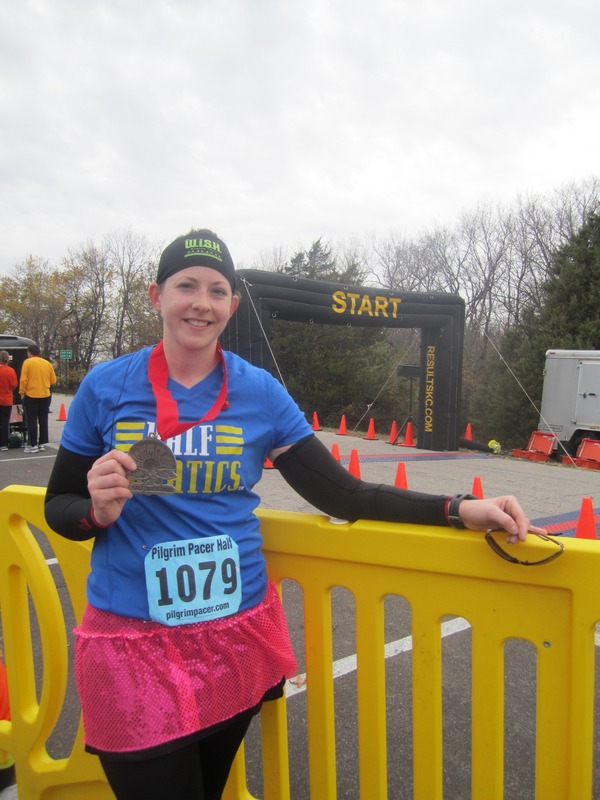 During this race I wore the pink traveling team sparkle skirt. 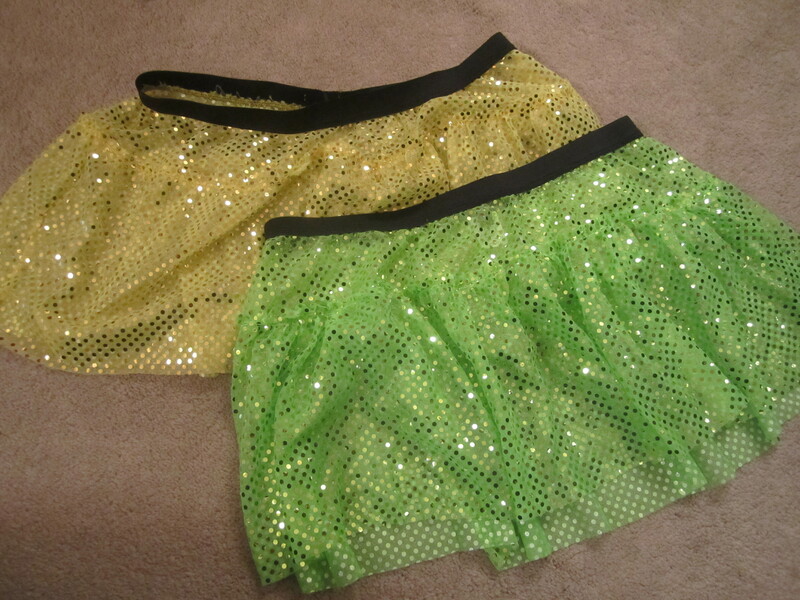 It was my first time wearing a team sparkle skirt, but I had been eying a couple for Disney’s marathon weekend outfits. I decided to wear the traveling skirt to kind of test the waters and decide if I wanted to order a couple for marathon weekend. Once I received the skirt I took it for a short run on the TM and fell in love. I ordered 2 skirts and a pair of wings that night. I’m still trying to decide what I’m dressing up as for each race. I keep going back and forth in my brain. 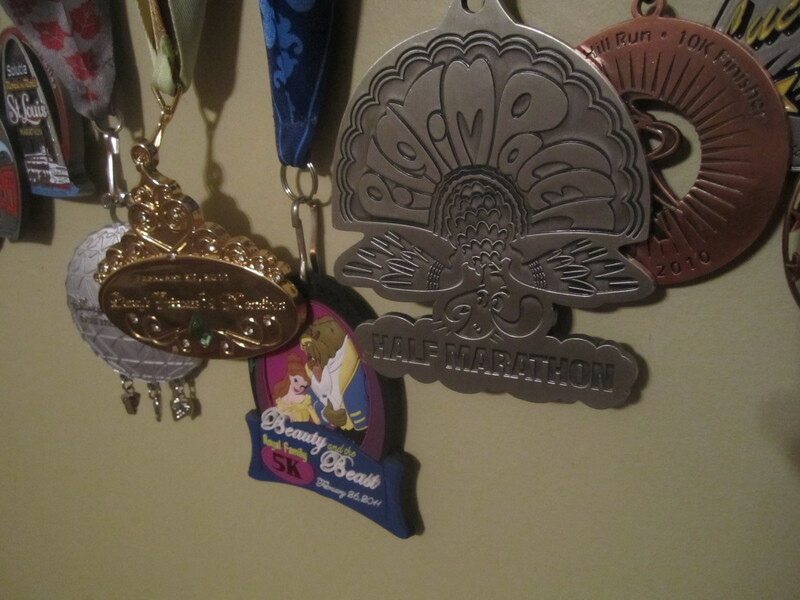 I’m pretty sure that I’m going to do a tinkerbell outfit for the 1/2, and a belle outfit for the full, but I can’t decide what to do for the 5k… but back to the race recap now. The start of this race is a nice downhill section that made it really hard to hold back my speed. This was my first real run since RNR St. Louis, so I wanted to take it slow and use this run as a training run for Goofy. The downhill seemed to go on for almost a mile, and as nice as it was to have an easy start, I knew we’d be running uphill the last mile since this was an out and back course. I hadn’t quite made it to mile 1 when the first 5k runners were passing me on their way back. I can only dream about being that fast one day. 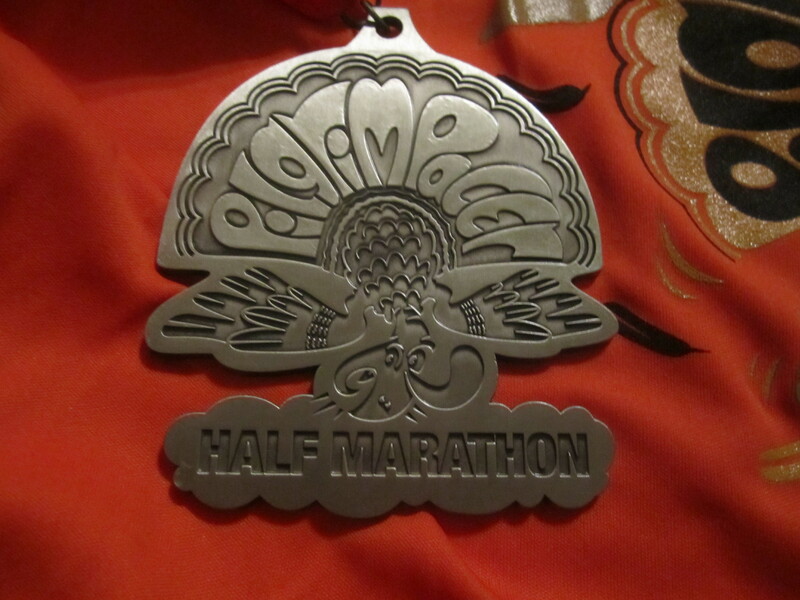 I let a lot of people pass me during the first half, and was proud of myself for not feeling too competitive. By the time I reached the turn around I realized that I was in the bottom half of the pack, and since I was feeling strong I decided to pick up the pace a bit. I had been taking it easy, running around 11 minute miles, and picked it up into the low 9’s for miles 7-11. It felt good to run fast (for me) and pass some of the people who passed me at the beginning. Around mile 11, the hills started to pick up and I started to fizzle. Even though I did take the first part slow, I didn’t run the intervals I usually run during training, and my legs were already feeling sore from the lack of walk breaks. My GPS was starting to act up because of the trees, so I don’t know my splits for the final miles, but I imagine I was back into the 11’s by that point. I got a last minute burst of energy and finished the race running (uphill) at a pretty decent pace. My final time was 2:20:45, which isn’t a PR, but I’m happy with that time. I didn’t really know what to expect running on legs that were still trying to recover from back to back marathons, so I was pleased that I could run a pace over 2 minutes faster than my pace in St. Louis. Overall the race was great. I can’t think of any complaints besides the downhill start, and the uphill finish, but that made the course a little tougher, which means I got a better training run in! 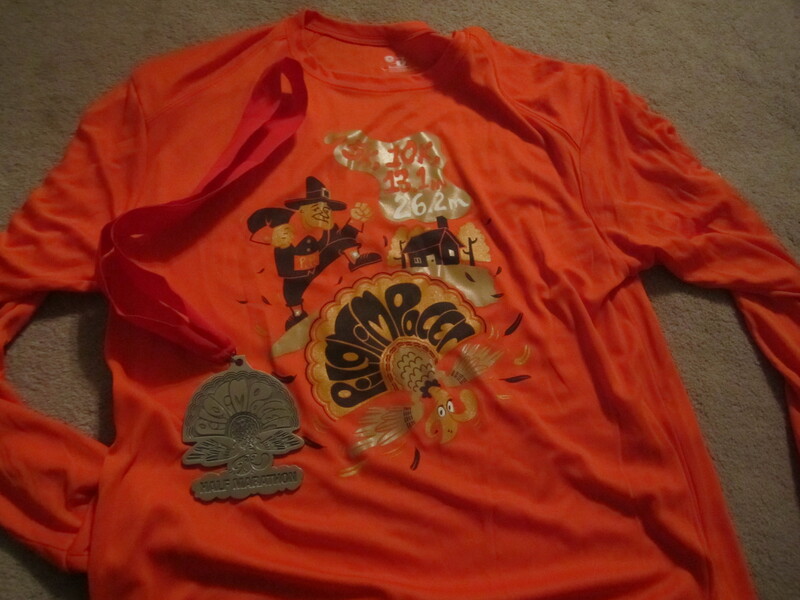 There was some great swag for this race, much nicer than last year. Last year was a cotton long sleeved tee and a dog tag medal, this year there were long sleeve tech shirts, HUGE medals, and race logo mugs. 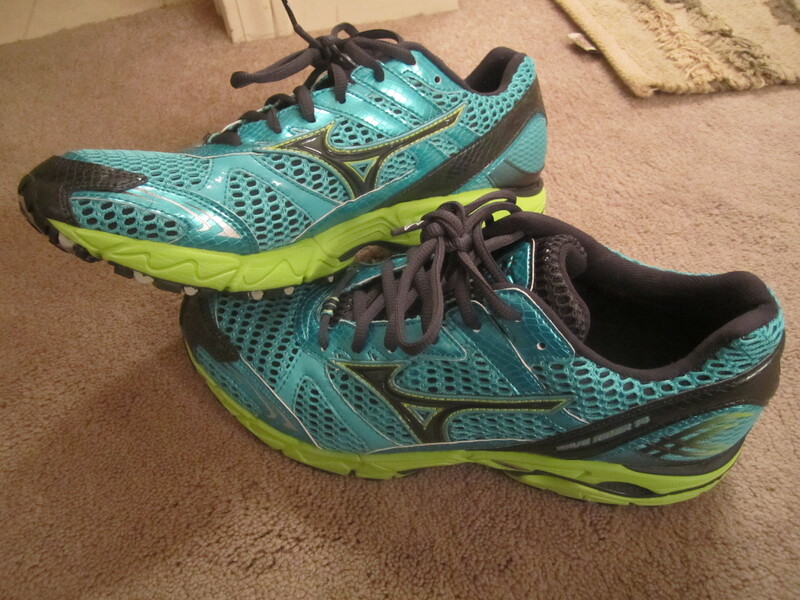 Finally, I had to post a picture of my new Mizuno’s because I’m so excited about them! My first pair of running shoes were Mizuno wave riders, and I haven’t had another pair since then. I was excited to get these on sale and in a totally awesome color combo! 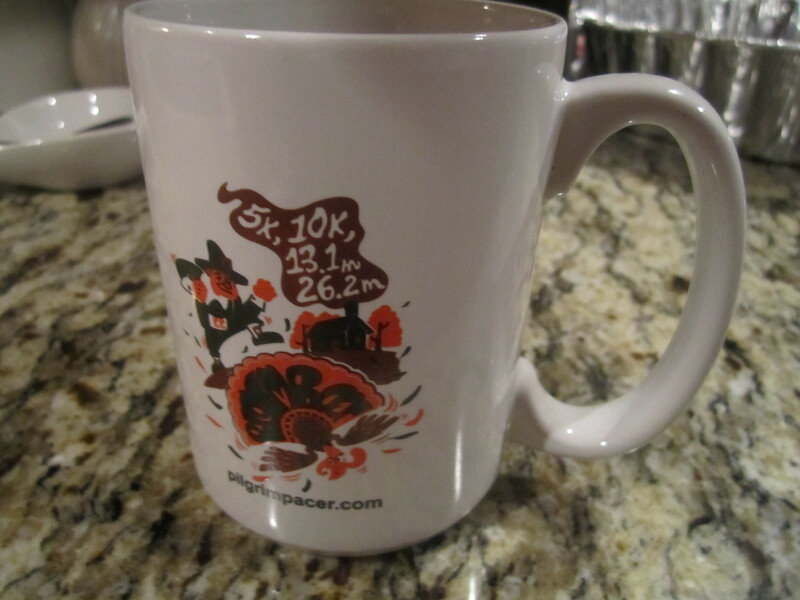 I know a handful of people who did this race, I might need to do it next year after seeing the swag from this year! I also looked over at your upcoming races and am happy to see you’re doing the Heartland 39.2 series too! If it’s possible it would be fun to meet up and maybe run some of one of the races with you! The swag this year was a huge improvement from last year. If it wasn’t for the sentimental value of the race, being my first 1/2 ever, I might not have looked into running it again this year. The course last year was boring, 4 loops of a 5k course with a short out and back. That’s awesome that you are running 39.3 as well, It would definitely be fun to run together! 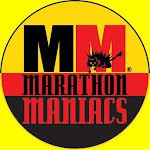 I hoping to run this as my first ever half-marathon in Nov. of this year (2012). I can only dream my time is as good as yours. Well done, especially considering the marathons you participated in.